Well, I hoped you enjoyed getting to know Mr. Gronkowski a little better. And after discussing the boisterous, media attracting and sometimes controversial Gronk, perhaps we now turn to someone who’s a little more of a nice guy — Mr. Tony Romo. Admit it, when you saw the ESPN commercial with Tony Romo working as the receptionist, you thought “Yeah, I could totally see that.” He’s inoffensive and mildly pleasant. He seems like a nice guy. And he looks like he would be good at keeping your schedule. So what’s so interesting about Tony Romo? I’ve often asked myself the same question. And after giving it some more thought, I’ve concluded that…well, perhaps you should decide. Of course, the first thing I did was type in “Tony Romo scandal” in a search engine. And, as expected, you don’t find anything that actually pertains to a “scandal.” So what does that say about Mr. Romo? Is he Ono? And what the heck is Ono? Well, Ono actually is a fish. But we’re not asking if Romo is a fish, although that would be an interesting subject for a Philosophy 101 class. What we’re asking is whether Romo is the “best”. You see, there’s an awesome guidebook that I always use when I go to Kauai, Hawaii call “The Ultimate Kauai Guidebook: Kauai Revealed”. And in that book, the author uses “Ono” to indicate which restaurants are best. And thus, why we ask, is Romo Ono? And Ono happens to rhyme with Romo too, so there’s that. College: Easter Illinois University (NCAA Division I-AA) – Romo won the Walter Payton Award in 2002, and led the Panthers football team to an Ohio Valley Conference championship in 2001. 1) Tony Romo is a family man. 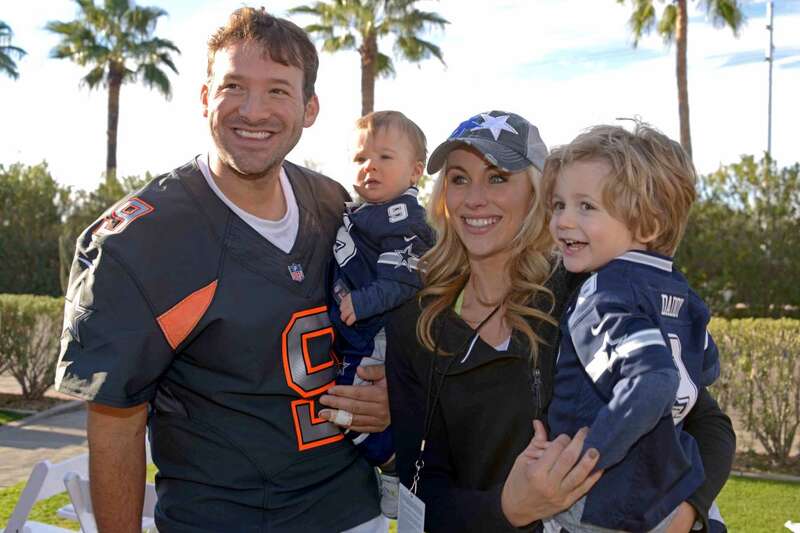 Tony Romo married current wife, Candice Crawford, in 2011 and has two sons Hawkins and Rivers. 2) Tony Romo has an official web page. Unfortunately, there’s nothing on the site of any interest, except a link for the Dallas Cowboys website (which might be interesting if your a Cowboy’s fan, I guess). When Romo’s not playing football, you can probably find him on the golf course. Want to find out more about his swing? Go to your local library and read the November 2009 issue of Golf Digest (Romo’s swing mechanics was deconstructed). He competes in several tournaments a year, including the Pebble Beach Pro-Am. He’s friends with Tiger Wood (if you think that’s cool), among others. 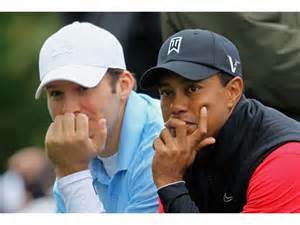 In the past, Tony Romo attempted to qualify for the U.S.Open. He never made it. He’s decided to focus on football. He hasn’t actually made it there yet either. How many NFL quarterbacks do you know (figuratively, not personally, because I actually only know one person who knows an NFL quarterback personally — you know who you are…) that play through a season recovering from back injury, broken ribs and a fractured transverse process, while wearing a kevlar vest? I’m willing to bet none. At least none while wearing kevlar. Because we all know that kevlar makes everything more awesome. On the other hand, there was that lifted pass interference flag the week before against the Lions, so…well, let’s just leave it at that. Regardless, the 34 year old, 11 year veteran, had a terrific 2014 with had a career high in quarterback rating (113.2), completion percentage (69.9), and touchdown to interception ratio (34/9). He lead the team to an 8-0 record on the road, and the team’s first playoff appearance and post-season win since 2009. Tony Romo even received 2 votes for MVP at the NFL Honors. Tom Brady only had 1 vote. What does that say about Tom Brady? It says Brady couldn’t care less because he has four giant Super Bowl rings. FYI…Aaron Rodgers won with 31 out of the 50 votes. No “double check” required for that vote. You might never see Tony Romo in a Super Bowl, but if you watched Super Bowl XLIX, you saw him in a Super Bowl commercial for Pizza Hut. Check out this forgettable super bowl commercial. Even his clothes were bland. The pizza had more personality than he did in this commercial. But then again, the pizza had three different cheeses on top, so it’s hard to be more interesting than that. In 2013, Tony Romo signed a seven year contract extension. The $119.5 Million dollar deal guarantees the Dallas quarterback $55 Million. In 2014, the quarterback agreed to a million dollar salary to relieve some of the funds in the NFL salary cap. But, don’t worry about Tony Romo and his family’s quality of life. In lue of a million dollar salary, Romo was promised a 12.5 Million dollar signing bonus. In 2015, Romo’s salary will increase to $17 Million. In 2016, $8.5 Million. In 2017, $14 Million. In 2018, $19.5 Million. In 2019, $20.5 Million. If his body can hold out that long. Tony Romo might not be particularly notable, but he’s dated some notable women. Their break-up didn’t have a friendly parting. Does any break-up have a friendly parting? Although Carrie Underwood denies her heartbreak lyrics to “Cowboy Casanova” weren’t inspired by Romo (stating she’d never immortalize him), they were written right after their break-up. You be the Judge. Romo might be common, but he knows how to break a girl’s heart. Romo broke-up with Jessica Simpson the day before her 29th birthday. He was seen partying with pals (singing don’t stop believing…in love…maybe) at the Roosevelt Hotel on Saturday (which was Simpson’s birthday). She canceled the Barbie-themed party she had planned (thinking good thoughts while eating her Barbie-themed birthday cake…maybe). Break-up’s are hard, but don’t feel to bad for these two ladies. They’ve both moved on, married and had kids, living happily without Tony Romo. Did anyone doubt they would? The Texas born, crowned Miss. Missouri in 2008, married Tony Romo in 2011. 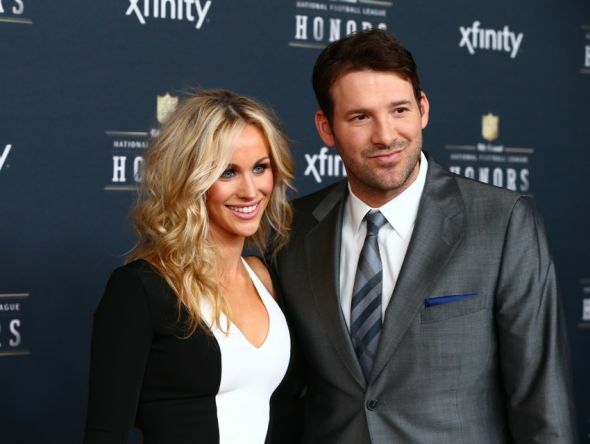 They started dating shortly after Romo’s break-up with Simpson in 2009. Coincidence? After his break-up with Jessica Simpson, there was speculation that Romo was gay (of course, there were several rumors of their break-up floating around). We all know that’s untrue unless his wife and sons are all part of an elaborate ruse. NO! 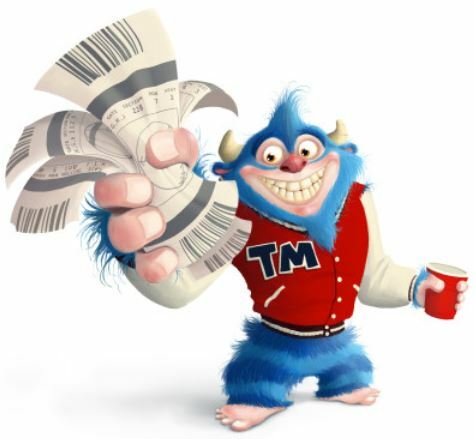 Not that Tony Romo, this Tony Romo (see below) for making/passing fictitious checks. So is Tony Romo Ono? 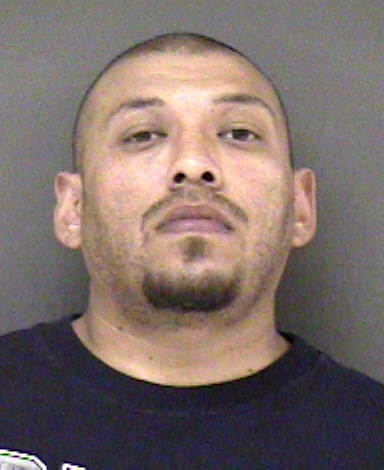 He’s not known for wild parties or a sparkling personality. You won’t find him on the National Enquirer (like his friend Tiger Woods), or TMZ like his brother-in-law Chace Crawford, starring in Gossip Girl. Besides, he plays in the NFL and not many people can say that. And, he makes a good receptionist. So what do you think? Ono? Or “Oh No”? Wow, I learned more about Tony Romo reading this article than any other source out there! This article about Romo was very informative, unfortunately to me he’s still just “oh no”. Not because he’s a bad person cause obviously he’s not and there are other QB on my “do not like list” above him, he’s just disappointed too often to be “ono”.